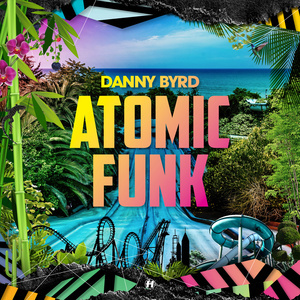 Danny Byrd was one of the very first artists to sign to Hospital Records at the turn of the century. 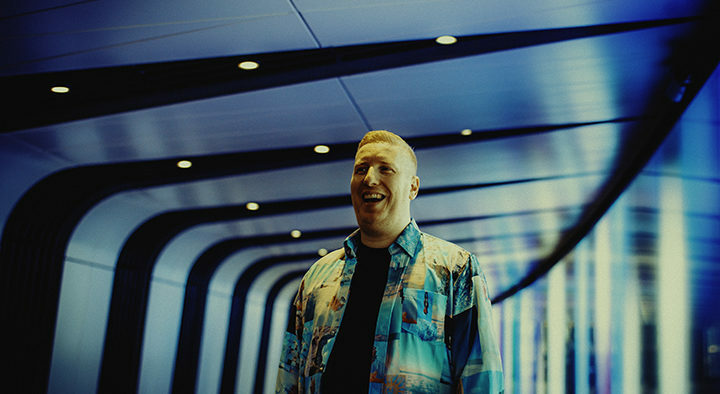 With his unique take on drum and bass with strong hip-hop and R&B influences ever present in his music, Danny’s signature mixing style and production flair have secured his name as one of the scene’s greats. Danny’s time in his Bath-based home studio has been well spent. He’s amassed a number of Top 40 tracks and 4 successful albums, including his latest one ‘Atomic Funk’. He also cooked up Annie Mac’s ‘Hottest Record In The World’ on her BBC Radio 1 Friday night show with ‘Devil’s Drop’ which featured on Hospital’s ‘Sick Music 2018’ series. His 2nd single of 2018, ‘Salute’ which features the legendary MC GQ, has also been a hit on the airwaves! 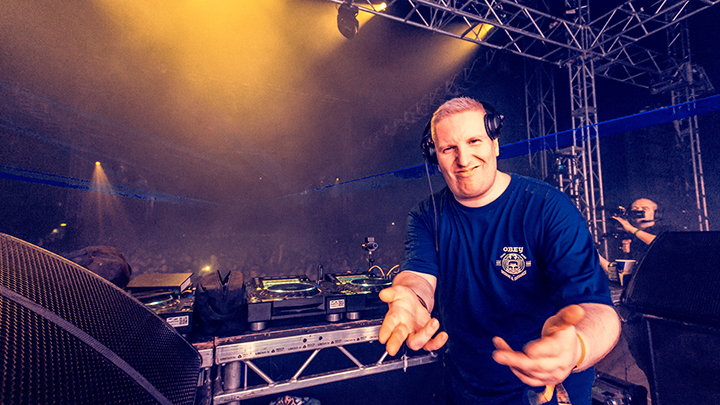 We caught up with him a few weeks after he closed Hospitality In The Park to discuss the sold-out festival and his new album. Hi Danny thanks for talking to us today. Hi, yeah nice to meet you. So, new album? It’s been a long wait for us fans mate! Yeah that’s how long it takes sometimes. People expect you to run like a machine and just produce things every year or every 2 years, I mean I do it with my favourite artists as well sometimes. There’s a human element in there too and it’s kind of like if you’re not inspired then there’s no point, you know you’re gonna be disappointed if you’re not in that creative zone. You know when you’re DJing and on the road promoting an album you often hear this from a lot of producers, they’re so busy on the road that when they’re working on the next album it sounds a little bit like the one before. It’s like you haven’t had time to reinvest in making new beats or new sounds because that comes from doodling around and having time to experiment. So when you’re on the road and you’re really busy at that time, you’re relying on stuff, you know? Your sort of sound palette that you’ve had before and that’s what I was really conscious of this time. I thought I need to take some time out and just relook at how I’m doing things in the studio and go back in and just experiment more. And that’s been the outcome of this album. So it’s been 5 years since Golden Ticket. Did you use that whole time or was the album a bit quicker than that? Yeah, I suppose I did use all that time actually. Because I was just fiddling around in the studio and buying lots of new kit, like I’ve used a lot of drum machines and stuff, which before this album and all the albums previously they were all just very much done just in Logic and done inside the box and were very digital. This album I started to buy a lot of hardware like compressors and EQs and drum machines and just having fun in the studio. That takes a while to implement. I’ve owned nearly every AKAI and MPC that’s ever been made and I’ve been using them for years (they’re like a classic hip-hop drum machine). I was trying to use those things for drum and bass 18 years ago, but I found them a little bit too fiddly, now I think I’ve cracked it! A lot of the tracks on the album were done totally on the MPC and it just gives you a different groove on the drums. I don’t know, anything to make it sound different really. That can easily occupy 5 years believe it or not! That’s great! I mean you can hear that you’ve had fun making this album. It’s a really well thought out album and really good fun to listen to! Of course, that’s good to hear. I was at BMC this year and I saw you do your MPC tutorial, it was really interesting. There you go then, you know what I’m talking about! Yeah! And that featured heavily throughout then, did it? Did you use it for every track? No, not every track. Again that’s the thing with creativity. Whatever the thing is that’s driving you, creatively, to make a track, if you try and do it on the next track, it doesn’t work in the same way, you know? You could say to yourself, I’m feeling myself being really creative working through the night and working really late and then after a few days of that, I might find myself being really creative working first thing in the morning and getting up at 8, you constantly have to be switching things up. But yeah I probably used the drum machine on at least 1/2 the album. I’m curious…How did the name Atomic Funk come about? Urm…because we couldn’t think of any better names haha! It’s funny the main thing about an album should be the music part, that should be the thing you spend most of your time thinking about and the titles are like that thing that comes after that. I find it quite easy to name tracks, I have a lot of track titles floating around in my head but naming an album is quite a difficult thing to do. I figured it would come to me eventually and we had a few other titles that were lying around. We gave the titles to all the Hospital Records staff and we got them to come up with names too so they came up with all the typical bird puns you know like Byrd on a Wire etc and I was like no bird puns please haha! We were fixated on another title at one point and then Atomic Funk came into my mind. I’d heard someone reference that on a Public Enemy documentary I think it was, they said they were sampling some atomic funk and it just came to me, I remembered that title, it just suited the album. It was also when Devil’s Drop was dropping and that’s got quite a funky bassline, the title just stuck you know? It’s done really well across the dance charts, it’s getting support from Annie Mac and other Radio 1 DJs. How’s that for you? Yeah I mean it’s been amazing. Again, it’s like that thing where a lot of the music’s quite honest and as you say, you can hear the fun in it. It’s not contrived and it’s not trying to be radio friendly. Funnily enough, those kinds of tunes are probably the ones that would work best on the radio for me, you know? I don’t know, now I’m a bit like my thing is, if a track works really well in a club then it just works anywhere else after that point, so I’ve just got to remember that. That’s what I was mainly focused on making this album, just making stuff that sounds good in the clubs and it being fun. So yeah it’s great to get this feedback, it’s been really nice to see that it’s being appreciated by a wider audience than the current drum and bass community. I’m really happy with it. 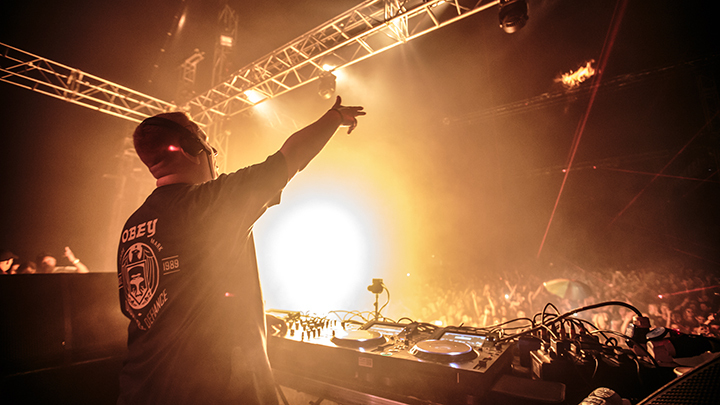 Which tracks do you find are performing best in the clubs? ‘Supreme’ is a personal favourite of mine! ‘Supreme’ is like the one that got away in some ways. Because when you get to the sequencing and you’re sorting out the tracklisting I was always wanting to put it first but it got moved to the end of the album, so it’s kind of like you have to search it out. I do really like that track! Clubwise I think ‘Salute’ with GQ has been going down really well in the clubs and ‘Devil’s Drop’ is really strong and ‘Atomic Funk’ as well. You never know, in certain clubs different tracks perform differently. But definitely ‘Salute’ and ‘Devil’s Drop’ are the favourites. Big tunes! There’s a number of collaborations on your album. How did you choose who you would work with? Well, it’s interesting, coming back off the ‘Rave Digger’ album because that had so much commercial success, I had a lot of offers from people wanting to work with their vocalists. But I find it really difficult to make music that way. I can’t go into the studio with a keyboardist and write a song and then make a drum and bass version. So I just went back to the drawing board and made loads of samples. A lot of the vocals were samples and then we kind of re-did them and took away the vocal and wrote new vocal around it. All of the people that I collaborated with were mainly Bath and Bristol based, which is a nice thing. I didn’t really have to go to London to record anything, which is so long. There’s a good talent pool here anyway so that fits with the vibe. The more trustful you can be with the music then the better the music will be. The musicians down this way are just as talented as anyone in London but they don’t quite know it. There’s a lot of unpolished, raw talent here. There’s a guy called Pete Joseph, he’s an amazing artist in his own right, and he lives just 10 minutes away from me. He can literally play every instrument known to man, so he was the main collaborator. The best thing to do is have a little handful of talented people who you can rely on to bring the whole album together. The exception was the Times x 2 guys who recorded their vocal in New Zealand. They did the vocal on ‘Money Calling Me’ and we did that over Skype. I met them in Bali when we did a gig there. But apart from that everyone’s been pretty local to me. Shifting gears quickly, I know you’ve just started your Radio 1 residency. How’s that going for you? Are there any new artists that you’re championing? The good thing is with this radio show, I’m digging so much deeper for tunes to play because you’ve got people like Rene LaVice, who’s smashing it every week on his weekly show, mine’s monthly, so I’m trying to pull out those big tunes and artists that people know and also artists that people don’t know. So I’m just digging a little bit deeper than I would if I was doing my DJ sets. I’ve been aware of him for a while but DJ Hybrid has been doing loads of jungle stuff recently and his stuff is absolutely sick! The good thing with the radio show is you can hit people up and say ‘Look, I’ve got this radio show have you got any bits you can send me?’ You can’t really do that if you’re DJing normally. So it forces you to go out and network a bit more. There’s a guy called Night Shift on Get Hype Records, I love his stuff. Those two alone have been filling up 15% per cent of my set. It’s been a bit nervewracking too though, to be honest. We had to record the day after I came back from America and I was jetlagged and all over the place! I think we do our next recording this month so hopefully, it will be a lot smoother! It’s really cool, it’s great to showcase the latest artists you haven’t heard of and also there’s a feature on the show where I get to chat to some jungle legends about some classic tunes. I want to know the real reasons behind certain tunes and why they were made. I interviewed Jumpin Jack Frost about Leviticus – ‘Burial’ I’d always heard that Dillinja engineered it and then Optical recorded the vocal. So little things like that get cleared up. Digging deeper into jungle history is really cool! Following on from newcoming producers. Any advice for them as to how they can push themselves as artists and stand out from the noise? It’s a really hard thing to say how to really do that. Because there are many ways. I think quality material, obviously that stuff’s a given. In this day and age, everyone’s got an artists contact, anyone can send someone a DM on Twitter or on Instagram so you’ve got every sort of DJ and producer in the scene that you can send music to, but that doesn’t mean you should send them the first tune you make. Personally, I don’t like it when people send me stuff, you know I’m not here to get you A&R feedback on your very first tune, you know? So get your quality level up between your friends first of all. Play those tunes that you’re making out at clubs and get them to a really high level and then send them to DJs. Send them your BEST tunes, then have more to back them up. So have 3 tunes to send out that are really strong and then that makes people believe in it. I’ve had people that have sent me tunes that have been really good and I’ve been surprised! To be honest with you, 95% of demos that you get sent are never good enough, that’s a sad truth. But sometimes someone will send something that’s really good and then the next one won’t really work and then the one after that won’t be strong enough. So you have to have those other strong tunes to back them up, so then that makes you really believe in an artist. It’s the same for me, you know? If I’m writing a new album or a new pot of tunes, when I play them for Hospital, I’ve got to be prepared to play my strongest ones first, and some I even leave on the side, I don’t even play them to Hospital because I know they’re not strong enough. Just make sure you’re quality is high enough and you hit the right people at the right time. I guess that’s what worked for Unglued. He kind of worked quietly in the shadows and then sent a really strong tune to someone in marketing, is that right? Yeah, that’s what I heard! Yeah exactly! Some people will add me on my personal facebook and then straight away I’ll get a message “Listen to my tune”. You need to have more manners than that. You get it a lot and you just think “Nah, I’m not even gonna listen to that!” It’s just common sense a lot of it. Hahahahahahaaaaa yeah it is!! I think it’s worse though man. At least if you give a USB to someone in the street you’ve at least gone to some sort of effort. You’ve recently played Hospitality In The Park. How was that? How was the general vibe? Yeah, it was wicked! It was Hospitality In The Mud this year! I mean everyone wore their best trainers and regretted it didn’t they? There was that guy who wore his bright white tracksuit and white trainers, he’s become quite infamous haha! There you go! Do you know what, it’s a UK festival, I mean what do you expect? We’ve had the best summer for a generation, you know. We were definitely due some rain and we were due some mud. It’s all part of the fun! But weather aside, the vibe was amazing, it was definitely the best one so far, for me personally. I closed the Hospitality stage and it was really really cool. I had GQ on my set as well, the album had only been out 2 weeks so there was a real nice buzz around the set. Afterwards, me and Chris Goss went to the pub around the corner just because the festival was kicking out so we went to the pub and there was loads of ravers in there and loads of people in there for the Joshua fight. There was a DJ too and he was playing loads of jungle classics like ‘Valley Of The Shadows’ and that was great. The whole vibe was amazing, it was just a really great day, you know? There must’ve been about 200 ravers from the festival in that pub! It was such a great day and I can’t wait for next year! Yes indeed! It sold out again this year didn’t it? I didn’t really have time to go around the rest of the site really because I came in from Estonia so I wasn’t there in the daytime hours, unfortunately. Was it good? Yeah, it was amazing! Really good fun, all the stages were great and everyone smashed it from what I saw! The Let It Roll stage was really impressive as well. The visuals were brilliant! The Portal they call it. People complain about the noise levels at London festivals sometimes, there’s obviously a bit of a restriction at Finsbury Park and people think that’s really unfair. But I managed to get a last minute hotel across the road and when I came from Heathrow just before my set I went to have a shower and the whole shower was vibrating from the bass. So I think they’ve got a point, you know? Yeah definitely! Was there anything you wanted to chat about Danny? No, I think that’s it really mate. Great to chat Danny, thanks for your time!